As soon as you arrive in Budapest you are immediately surrounded by this unmistakable feeling that something out of the ordinary is just around the corner. 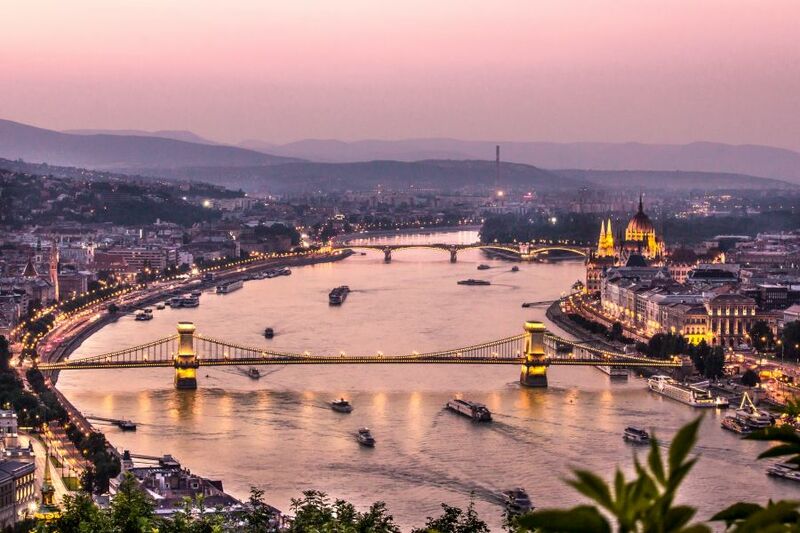 Budapest, with its delicious flavours and fruity wines, its breath-taking views and rich history has become the beating heart of Eastern Europe and continues to be the new must-seen destination of the fun-seeking Europe traveller. The two-sided city that is split into halves by the mighty Danube represents two very different characters of the capital. The historic castle district in Buda offers medieval streets and adorable houses, museums, caves and Roman ruins whilst its little brother, the playful Pest gives you the ultimate urban experience with its famous ruin bars, riverside promenade, lots and lots of food and all the fun places to go with your friends. Why people love Budapest beyond its true beauty and history is obvious: everyone at any age, gender, relationship status or nationality finds what they look for in a city break. When you think of Budapest, think of a never-ending date night. The city tells an inspiring story of a marriage between two cities of contrast that are joint by iconic bridges of iron and stone. Bringing people together and celebrate togetherness is all around you, and it seems the history of the city hints that Budapest was custom-made for romance. To start this never ending – trust us – love affair spoil yourself to a romantic meal in Gellert Brasserie, in Hungary’s most famous hotel, Hotel Gellert (where Eddie Murphy’s I spy was shot in 2002! ), hid between the towering Gellert Hill and the Danube. Budapest can make a claim to be one of the most relaxing cities in Europe, thanks to a secret buried beneath its beautiful architecture. 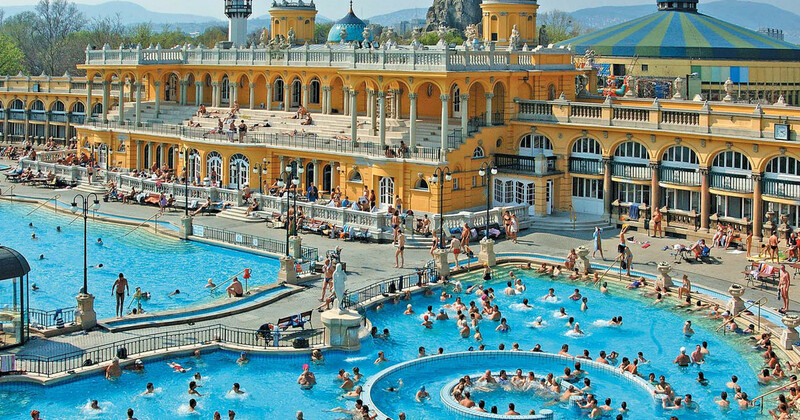 The capital alone has 118 hot springs to boast (which delivers 70 million litres of therapeutic water each day) therefore no couples should come to Budapest without their swimsuits. 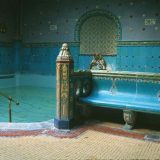 The spa culture is a perfect mix of natural wonder and ancient history as the Turkish baths of Budapest are an everlasting memory of the Ottoman rule during the 16th and 17th century. Szechenyi Bath with its ridiculously beautiful architecture houses the only spa on the Pest side and remains one of the biggest thermal spas in Europe. As going to a swimming pool is one of the best things to do in Budapest during the hot summer months, the spa provides you with a great place to sunbathe and cool down. However, jumping into the outdoor thermal pool in December offers you a very unusual and unique experience and something that would certainly cool you down even more. Budapest, XIV. District, Állatkerti körút 9-11. You can read more here about the best thermal baths in Budapest. While you can walk or ride a cab to Buda castle, it’s hard to rival the appeal of the 18th-century Buda Castle Funicular (one of the many structures that was restored after WWII bombing). Arrive early to avoid the long queue, so you can experience a scenic and stress-free trip to the castle. A return ticket costs 1,800 HUF (6 EUR). On a side note, the view of the Danube embankments and the Buda Castle District has been listed on the UNESCO World Heritage Lists since 1987. So you know what you can expect. When you arrive at Buda Castle history will surround you immediately. 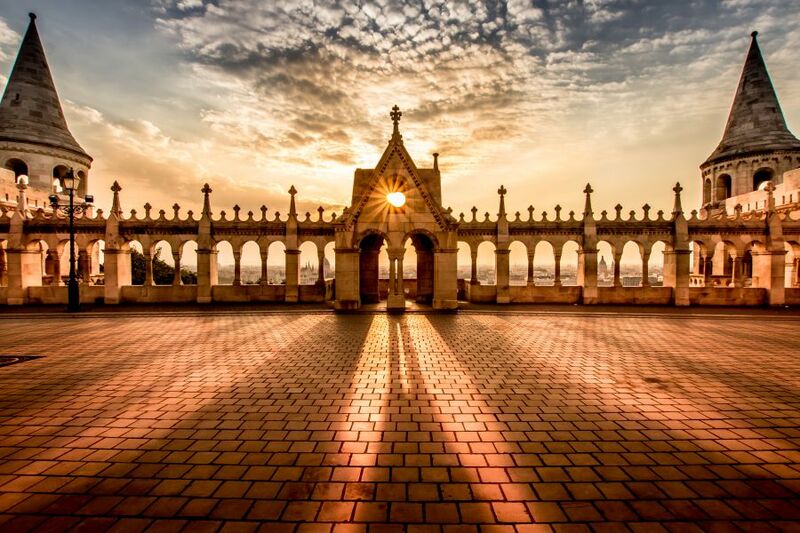 Head to Fishermen’s Bastion first for the most breath-taking view in Europe (and the best view in Budapest) to enjoy that unbeatable feeling of being above the city. 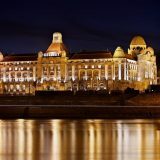 The Parliament Building stretches alongside the Danube on the opposite side which will absolutely blow your mind… especially at night time with both the Parliament and Buda Castle magically lit up and mirrored on the smooth surface of the river. You can walk around for hours and hours on the cobblestone paths and discover the tiny little mews hidden between buildings. 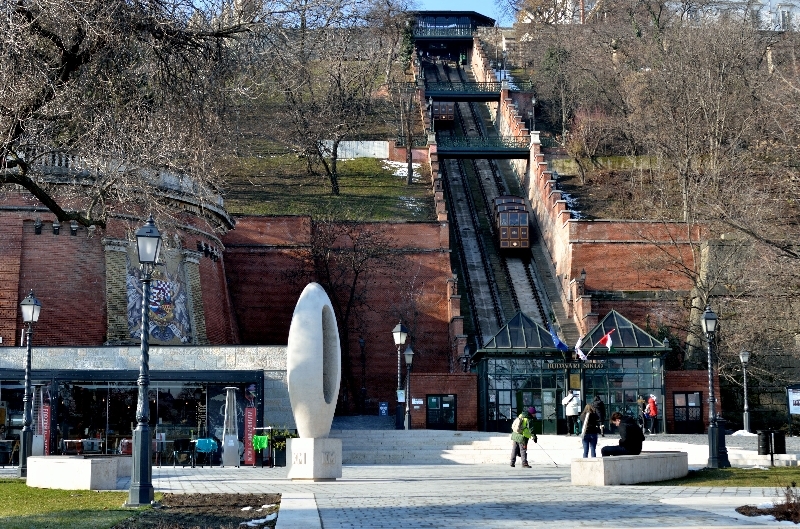 The Promenade is located at the back of the castle and offers a unique view of Buda Hill. 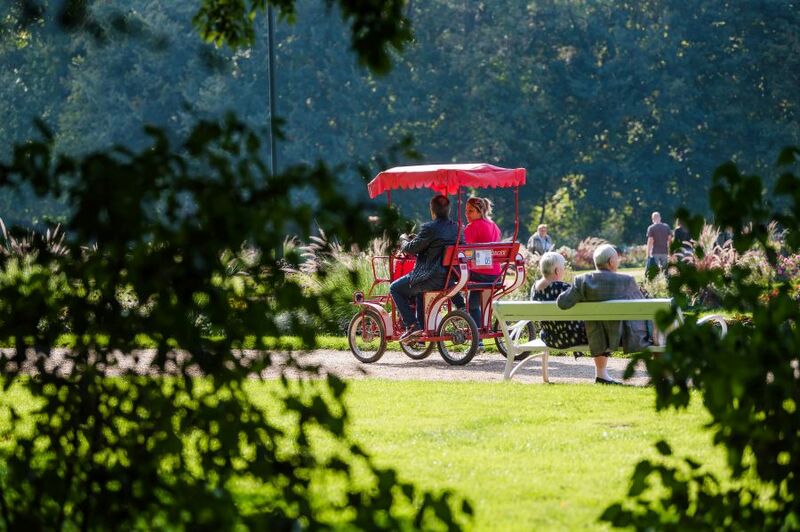 Stroll along the leafy pavement, take a break and sit down on the cannons in front of the iconic country yard of the Museum of Military History or have a drink in the sunset for the perfect finish of the day. Get ready to mingle because the city never lets you down. It’s so easy to fall in love with (and in) Budapest, you will literally wish you’d never have to leave. Young adults, students, urban athletes and people full of love for life are giving Budapest its very heart beat and create this special atmosphere where no one ever feels alone. The city is your playground. Go have fun. If sitting in a restaurant on your own is not your thing then Budapest Makery gets you covered. At this 7th district restaurant guests cook for themselves. After choosing your dish on the menu you will be provided with all the ingredients and a food preparation video to help you prepare your meal. 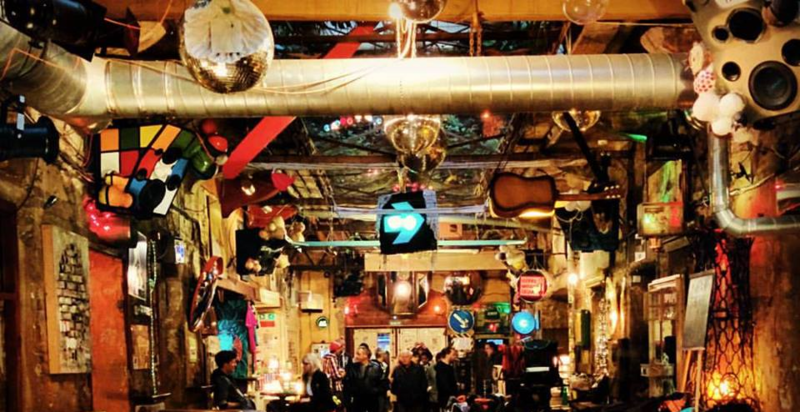 With a promising 4,7 ratings on Google Budapest Makery is the first DIY restaurant in the World. There are lots of art theatres around the city and they can be best explored alone. On top, English-friendly movies are played now all year round so you’re all set for a cosy movie night out. 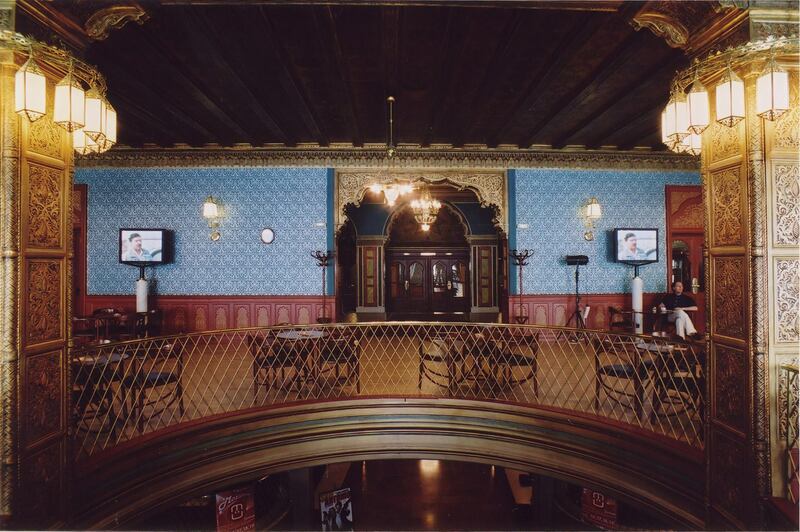 Urania, where our dads’ generation spent Saturday evenings, with its beautiful architecture still houses many of the ground-breaking art movies and is one of the coolest cinemas to go with friends or on you own. 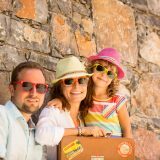 What a fun way to explore a city and have fun on your own! 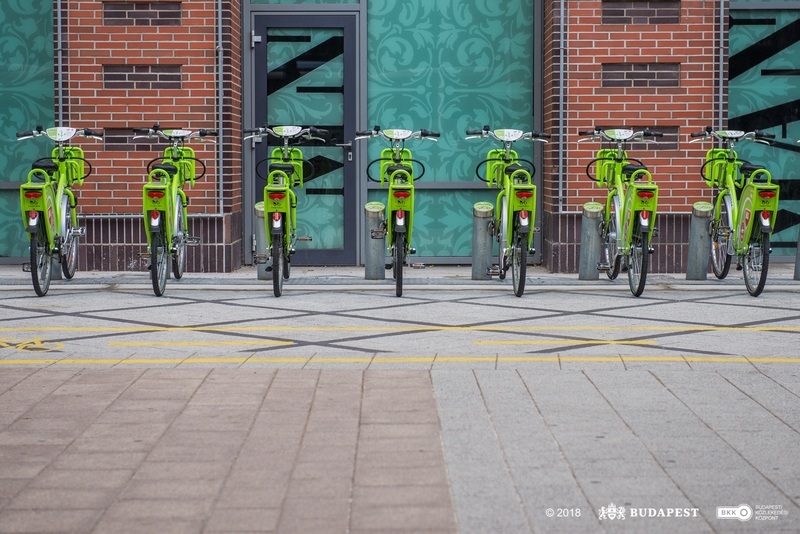 Eventually Budapest has picked up on the Grab and Go trend so short-term bike rentals, called BuBi (short for Budapest Bikes) are now available at 76 docking stations around the city. 1,100 apple-green coloured bikes are there to grab all year round, 24 hours a day. The entire system is operated under the Budapest public-transportation system and docking stations are located at no less than 500 meters from each other. The rental costs 500 HUF per hour (1,5 EUR). Grab one and cross Chain bridge at night for a one of a kind view of the two sides of the city, or cycle down to Margaret Island after breakfast. 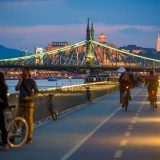 Currently a 200 km long cycle path is available across the city which makes Budapest the 13th most bike-friendly cities of the World. What’s even better is there are bike-friendly cafes all around the city too! Our favourite is dynamobake & dynamobike which offers delicious home-made cakes and located close to Central Market. 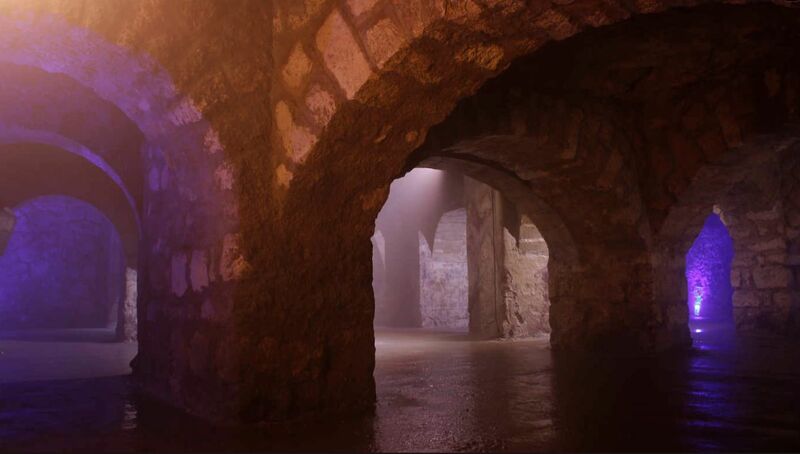 If you’re up for a bit of adventure and like pumping up your heart beat or hunting vampires, visiting the Buda Castle Labyrinth must be on your list. It is a series of caves some 16 meters under Castle Hill that once imprisoned Vlad the Impaler, better known as Count Dracula. The 1200 km long labyrinth, including a tunnel where you’re confronted with total darkness, is now open to the public to tell the story of a tale that was once reality. Or was it? A single adult ticket costs 2,500 HUF (8 EUR). Hungary is located between the 46th and 49th parallel which is actually the same latitude range as many of France’s top wine regions from Northern Rhône to Champagne. Its rolling hills are rich in volcanic soils and limestone – idyllic soil types for fine winemaking. 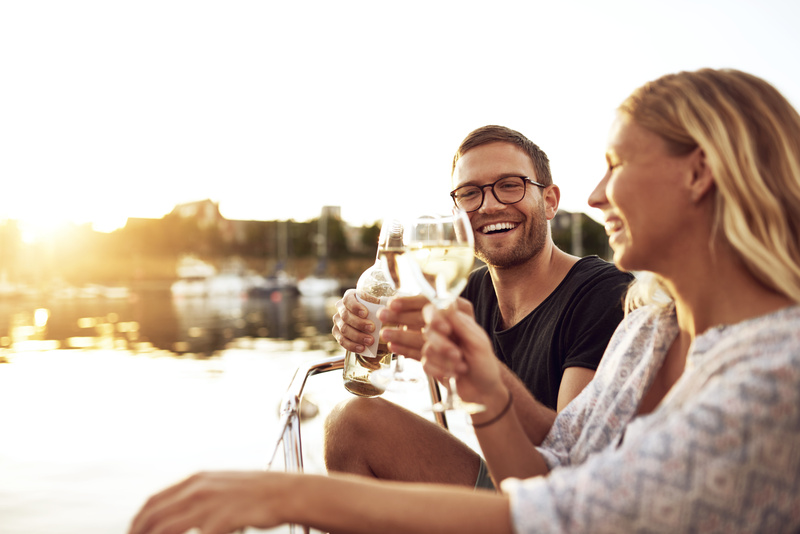 Hungarian wine has always been an underdog, but since the government has started investing money in wine tourism the industry has been blooming. Many of the best vineyards opened their own wine bar or supply their statement drinks for restaurants or wine hotels. 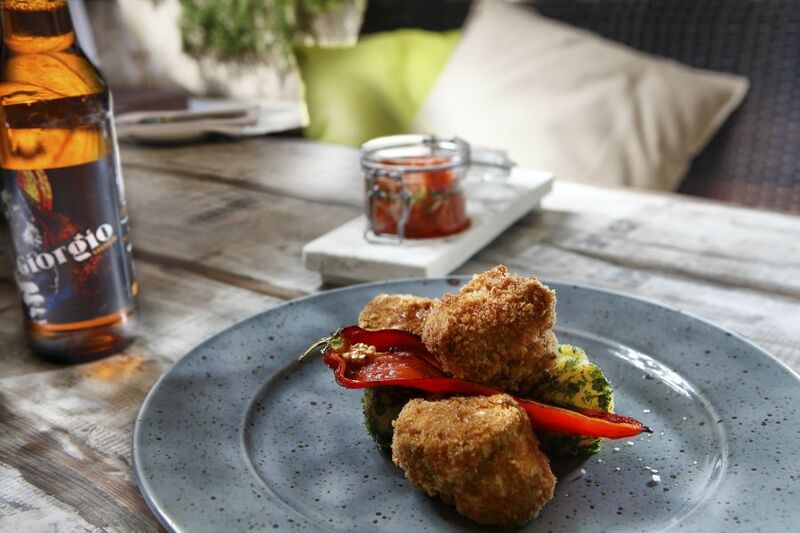 If you’re seeking a lush experience, choose St Andrea Wine and Gourmet Bar which has a luxury set-up and delicious food. On a hot summer day don’t forget to go up to the skybar which brings you an incredibly beautiful view of the inner city. For a more casual glass of wine, try one of Budapest’s first wine bars, DiVino, either by St Stephan’s in a historic surrounding, or head to Gozsdu Udvar where Budapest nightlife begins! After your glass of wine the night can take you anywhere. Put your best clothes on, ask for a glass of their most popular wine (red or white) and smile. You’re in Budapest and life is beautiful. If New York is the city that never sleeps, I’m not sure what Budapest is. There is no such thing as bed time in a city of endless restaurants, bars and clubs that all awaits you to concur them. Budapest is one of the best places to find the best fun for groups, stag or hen-does. Check out our guide about the Best Area to Stay for Nightlife in Budapest. They are becoming more and more popular, so why not get stuck into one of Budapest’s many escape rooms with your mates or girlfriends? The deal is pretty simple: you’re locked into a room. You and your fellow stags and hens have to work together as a team, use logic, wit and common sense to escape from the room that’s filled with taxing puzzles and questions that you’ll have to solve in order for the room to become unlocked. To make it even more exciting you will be given a time limit which is usually 45 minutes to 1 hour. If you like it playful this is the perfect ice-breaker before painting the town red! The highest rated Escape room in Budapest has 6 different themes you can choose from, all of them will give you the chills. Ruin pubs were born when people found authenticity in old, ran-down yet original places. The same way Shoreditch in London was lifted by artists, ruin pubs were created for everyone hungry for the cool, the authentic and denies everything fake. And the real story is, back in 2001 a bunch of young men were looking for cheap places to drink and so the story goes. And from their shallow pockets some of the most stylish places in Budapest were born. Szimpla Kert is the first of its kind, still blooming today. If the downtown craziness of Kazinczy street and the Jewish quarter, the wilfully mismatched furniture and an old Trabant car, that doubles as a table and chairs from former East-Germany, sounds too hipster, don’t worry. People from 16 to 70 are all there ready for some pre-party drinks. Besides, it regularly hosts a farmers’ market and a flea market as well as live music and movie screenings. There is no such thing as too hipster anyway. I bet most of you love football with the boys so it’s the perfect way to take it to another level and have the best fun ever. You will be thrown on a giant inflatable and transparent spheres (it has an open top) and take part in a series of fun and challenging games. But without having to use your hands to help you balance, you will discover how difficult it is to play this beautiful game with your feet only. 39 EUR per person for 2 hours. Learning to make cocktails in Budapest is the perfect activity for the ladies that love the more sophisticated drinks. The good news is that you’ll be able to drink all your own creations once you’ve made them! You will be provided with an expert’s top tips to measuring, mixing and shaking your way to perfection, before pouring into a glass for the epic finish. Expect to learn a mix of all those classic cocktails – you’ll be able to take your new skills home with you to show your friends what you learnt in Budapest. From 25 EUR per person. The city is so pretty you can literally spend hours admiring its beauty and authenticity without spending any money. 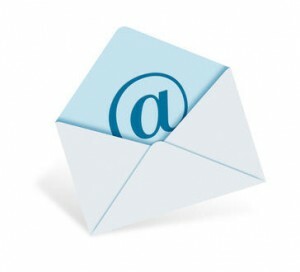 All the hottest spots are there for you to concur them all year round. Quite a unique proposition that the capital is split into two by Europe’s second longest river. 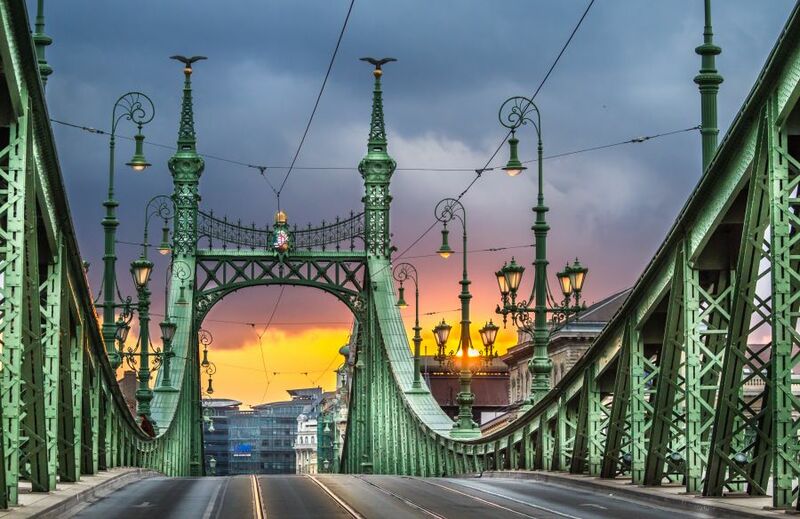 To unite the capital Budapest has 11 bridges of which at least 4 of them will take your breath away. For a historical moment cross the city’s first ever stone bridge, the now renewed Chain Bridge, where you can also have a picnic during the greatest national holiday for Hungarians that commemorates the Foundation of the Hungarian State on 20th August (it’s like Hungary’s 4th July). For a very special and absolutely stunning view, face Elisabeth Bridge on the Buda side – strictly during sunset. You’ve been warned. One of Budapest’s many little gems, Margaret Island needs to be on your list to visit. You either decide to run it or walk it, the island with its rich history and natural beauty will give you the ultimate relaxation. Locals love it, especially during the hot summer months as it has 2 outdoor swimming-pool complexes on site, parks, fountains and open-air bars. One of the most beautiful spots however is the Japanese garden on the northern side of the park. It’s a serene environment with smooth paving, and calm waters replete with lilies and a grand waterfall that quietly trickles down into the central pond. While you can take Bus 27 all the way up Gellert Hill, the full hike up only takes 20 minutes and covers more free sights with a combination of both history and beautiful views, including the most instagrammable places. Saint Gellert Monument: This multilevel monument spans an artificial waterfall and is capped by a statue of Bishop Gellert holding a cross while boldly looking over Budapest. You can walk along all three levels of the monument gaining better and better views. Directly across the Danube River from the Gellert Monument you can see the twin towers of the Inner City Parish which was built over the grave of Saint Gellert in 1046 A.D.
Citadel: The best things at the Citadel today are not only the spectacular and very unique view of Budapest, but outdoor exhibits of both Saint Gellert and Soviet Artillery Guns, besides the Citadel Museum with its 3 levels of bunkers, prison yard, and a 1944 wax museum. 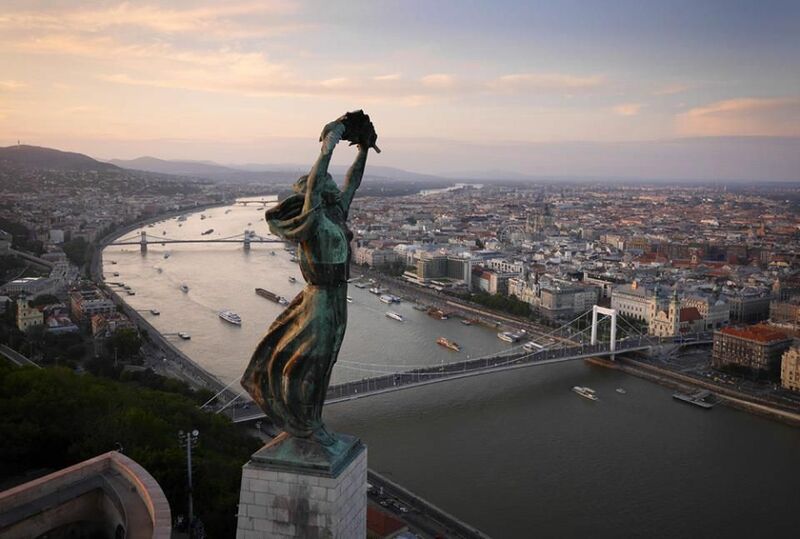 Liberation Monument: Sitting high above Budapest, the 46 foot tall Liberation Statue stands on a 84 foot tall pedestal while lifting a palm leaf toward the city as a symbol of peace. The monument was built in 1947 in remembrance of the Soviet liberation of Hungary from Nazi forces during World War II. To complete list of Budapest attractions on the walking path visit https://en.funiq.hu/3421-a-scenic-walk-on-gell%C3%A9rt-hill. Budapest welcomes everyone regardless of age, gender, money or relationship status. It will spoil you with its beauty, its wonderful food and wine, long walks and even longer summer nights. 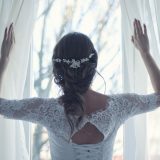 Get ready for a serious love affair – the one you’ll never forget.